FAQ - Livemedia - Livestreaming and archiving, broadcasting on demand, conferences, congresses, events, courses, webinars, reportage and news. Livemedia web channel. 1. What is Internet Live Streaming? Livemedia Internet Live Streaming is a service provided by Livemedia.com that enables you to broadcast any event of interest to you live online. Through the use of computers, video cameras, suitable software and Livemedia.com specialised staff, the event is being recorded and simultaneously broadcast live on the Internet. Live streaming enables the virtual and remote participation of delegates and at the same time multiplies the visibility of your events and enhances your brand. 2. What kind of projects does Livemedia.com undertake? 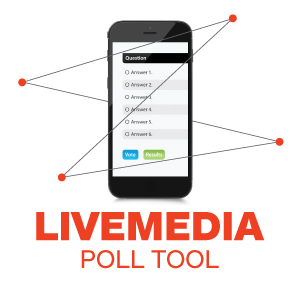 Livemedia.com is capable of record and broadcast (live or on demand) any type of live event from large multi-room conferences to highly specialised technical events e.g. medical operations. Click on Services and on Customers to get a first view of our expertise and clientele. 3. What is the purpose of the services provided by Livemedia.com? Livemedia services purpose is to enable its clientele to broadcast information, news or data and disseminate knowledge in the most reliable and effective way using cutting-edge technology and extremely professional and passionate team. 4. Can Livemedia cover an event anywhere in the world? Yes, Livemedia experienced crew travel worldwide and deliver projects across the globe. 5. How can I make my own channel? Click on the ‘Make your own channel!’ link and follow the detailed instructions to make your own online channel. 6. How can I upload material to the Livemedia.com website? Click on the ‘Upload your Videos!’ link available on all pages of our website and follow the detailed instructions to upload your video. 7. How can I contact Livemedia.com? Under the ‘Contact’ section of the central menu, you will find all necessary detailed information for contacting a company representative to answer any question you may have. 8. What are the minimum system requirements for watching an event broadcast by Livemedia.com? Watching Livemedia.com services does not require high computer power. However, for optimal viewing experience, you can download all necessary programs (players) free of charge form the web. 9. Where can I receive information on future Livemedia.com events? 10. Can you help me convert old formats like videocassettes? Yes, through the digital file management service, you can convert all your old videocassettes to digital files and store them anywhere you want: on your PC, on hard drives, on CDs/DVDs, flash sticks, etc. Digitisation can be performed on VHS, 8mm, Hi8, D8, miniDV, DVCam, DVC Pro, Beta, Digi-Beta. After the content is digitized, we will also recommend the most suitable encoding for the purpose intended.